As we approach the end of each year, the GPHG (Grand Prix d’Horlogerie de Genève) ceremony takes place in Geneva. The so-called Oscars of the Watchmaking Industry, the gala event celebrates the best watches of the year – the most advanced, the most innovative, and the most creative timepieces – as well as the outright best in show, the Aiguille d’Or. Today we’re able to bring you, hot off the press, the complete list of finalists selected by the Jury. Only six watches remain in each of the twelve categories and, while the final jury selection will only be given on November 8, 2017, we can already give you the full list, our impressions and our usual predictions about the possible awarded watches. This year, the “ladies” category will represent quite some diversity, with watches which go from an iconic and rather masculine 1970s design (Audemars) to the extravagance of independent watchmakers (Fiona Kruger with her bold skull watch, or Urwerk and their complex UR-106). Of course, some of the emblematic Maisons are present, with interesting, yet classically executed watches (Chanel, Chopard). And while this category is usually reserved for watches with a “standard” movement and display (complex ones will enter the “High-Mech” category), there are already quite some impressive mechanics here. Our guess would go to something a bit different, maybe Urwerk, although the Royal Oak Frosted Gold and its superbly executed case could steal the show. 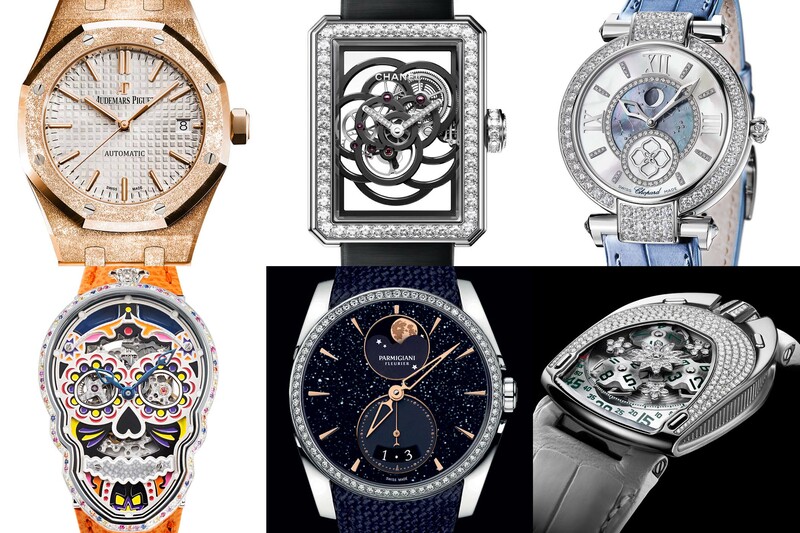 In the “Ladies High-Mech” category, the GPHG will award women’s watches that are remarkable in terms of their mechanical creativity and complexity. It means that all kinds of complications are accepted here (while there is a maximum of only 2 simple complications in the “Ladies” category). 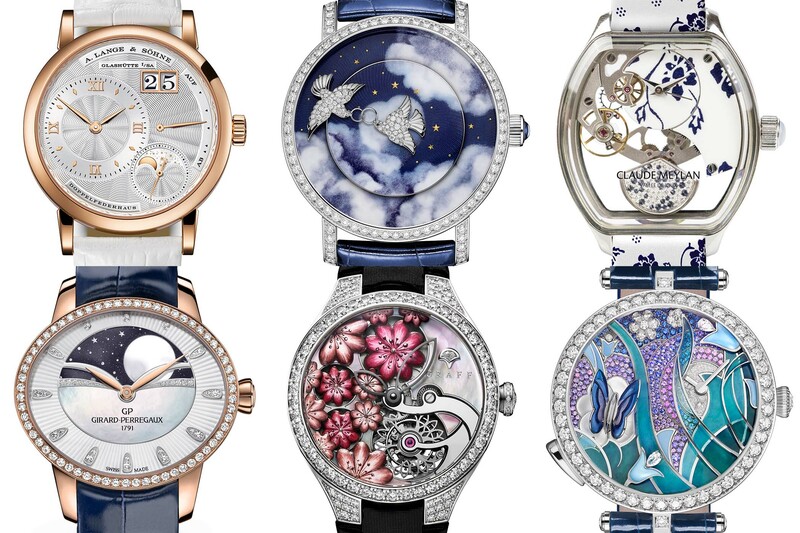 The selection this year in this category is rather homogenous, with most of the watches having a rather “girly” style – floral theme, poetical style and lots of diamonds – while only one seems rather boyish, the A. Lange & Söhne. This is why our prediction for the best “Ladies High-Mech” watch of 2017 will be for the Lange 1 Moonphase, certainly the one that better reflects the current trends and tastes of modern women. This “Men” category has always been a tough one at the GPHG, and the 2017 edition is no exception to the rule. Here, competing watches must comprise two at most of the following indications: date, power reserve, classic moon phase, digital or retrograde time display. That means that we usually have a wide selection, as you can see in the 2017 edition. 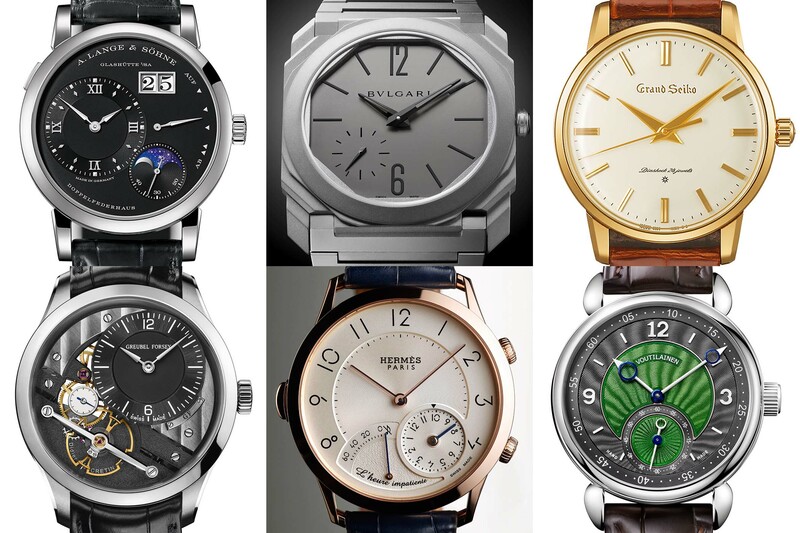 There is the beauty of the hand-finishing of Greubel or Voutilainen, innovation with Bulgari, classicism with Seiko and Lange, and unique complication with Hermes. Considering the achievement that this Bulagri Octo Finissimo Automatic represents (the thinnest automatic movement on the market), our guess for the “Men” prize goes to this bold and modern creation. In this “tourbillon and escapement” category, the GPHG will select the best watches of the year which comprise at least one tourbillon and/or a special escapement. No surprises then to see quite complex watches here – a tourbillon-chronograph, the slimmest skeletonized tourbillon movement, a watch with a centrally-mounted balance wheel or a twin-tourbillon with automaton. 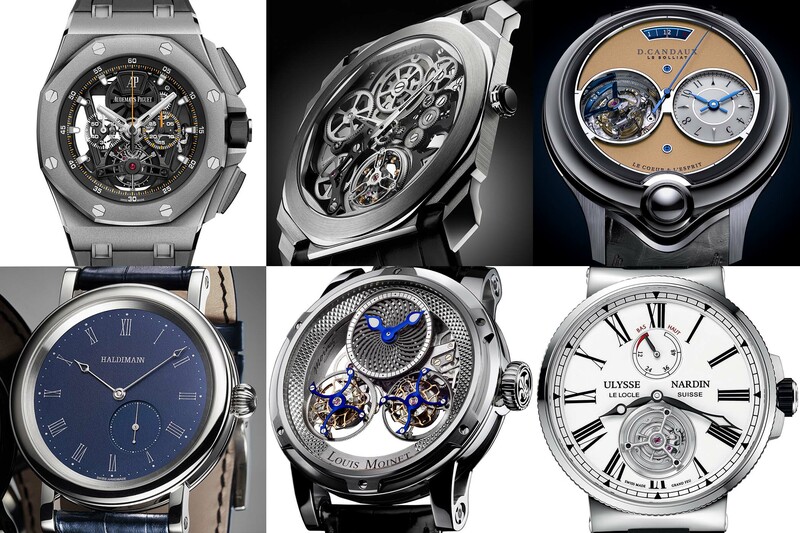 Yet, among these six superb watches, one could well be the choice of the jury: the David Candaux, simply because of the insane level of finishing, of the original architecture of the movement and also because it is the first watch this great watchmaker has launched under his own name. 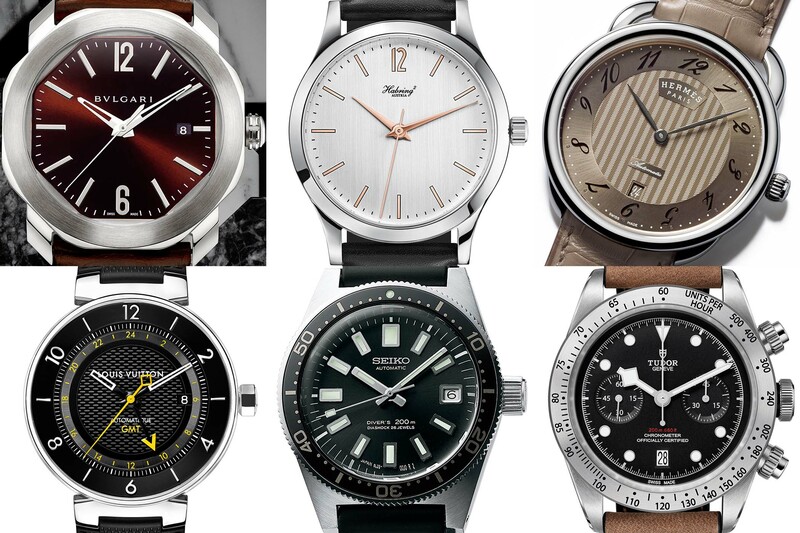 The “Travel Time” category focusses on mechanical watches displaying several time zones. 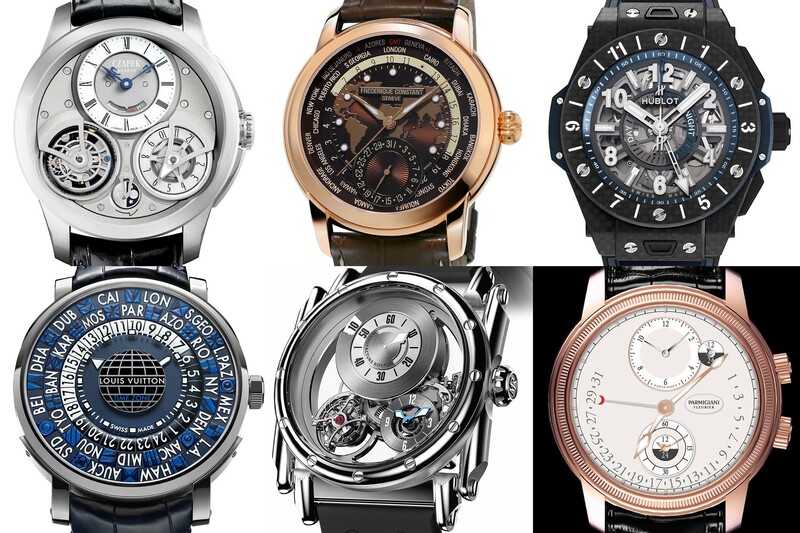 Yet, the selection feels quite restrained here, with watches that feel classical in their indications and execution. No complex world-time watches, no unusual way to indicate the time-zones, in fact, it might be one of the less challenging categories this year. Though the Parmigiani Fleurier, even if quite classical, is indeed superb in terms of design, with an undeniable elegance. The “Mechanical Exception” category is a sort of no-limit one. Here you can find watches featuring a special mechanism, such as an innovative or sophisticated display, an automaton, a striking or any other acoustic function, or an exceptional horological concept. And clearly, the GPHG 2017 doesn’t disappoint here. 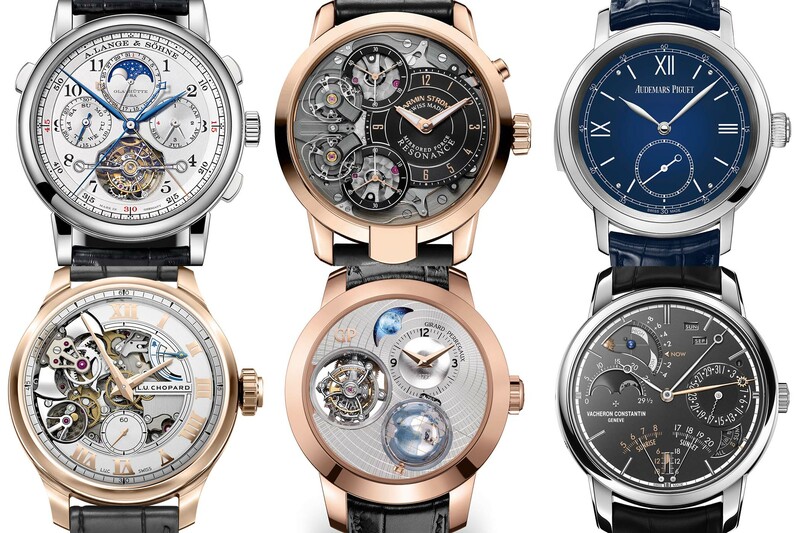 Almost all of them could well be awarded… The Lange for the beauty of its movement, the Armin Strom for its innovative and superb Resonance escapement, the AP for making the Super-Sonnerie concept so restrained, the LUC Chopard for being one of the most innovative minute-repeaters and the Vacheron for being one of the most advanced astronomical watches on the market… Prediction: a huge fight in the Jury room to decide which should be the winner! The “Petite Aiguille” category is rather special at the GPHG, as it is the only one with a focus on the price. 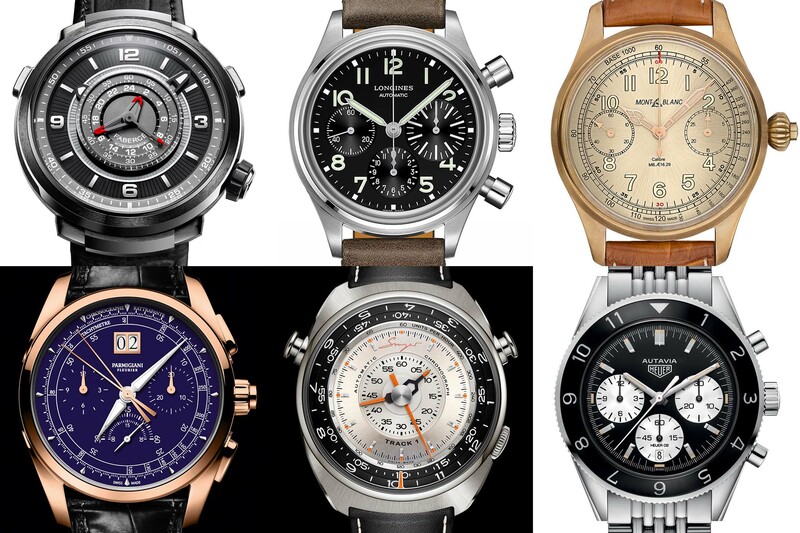 Here, there are only watches with a retail price of under CHF 8,000. And while smartwatches are admissible in this category, we’re happy to see that none was selected. This might sound simple, however it is one of the most disputed categories, as this price level probably represents 90% of the production. The final selection is quite heterogeneous this year, with many different styles, several complications, and watches from different horizons (Japan with Seiko, independent watchmakers with Habring2). And in fact, we would be happy to see the Seiko winning the prize, as one of the most desirable vintage-reissues of the year, and from another country than Switzerland. 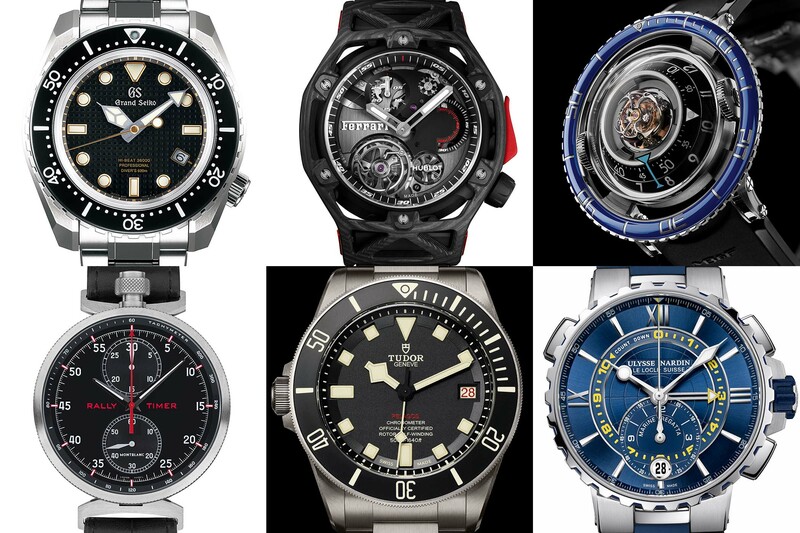 In this “sport” category, the GPHG selects watches linked to the field of sports, whose functions, materials and design are suited to physical activities, as for instance here there are two dive watches, two racing chronographs (one even has a tourbillon), a regatta chronograph and even an horological UFO with nautical roots, the MB&F HM7. And guess what, this watch could well be the one this year, in the “Sport” category – second choice would be the Ulysse Nardin, as probably the cleverest regatta watch seen in a long time. 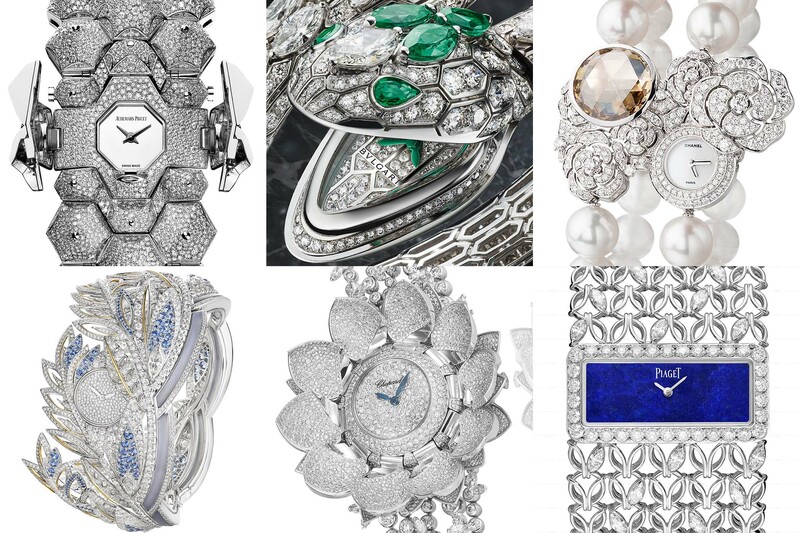 In the “jewellery” category, the GPHG selects watches demonstrating exceptional mastery of the art of jewellery and gem-setting. No need to say that we’re in a world of immoderation and extreme luxury. While we have low to zero experience here, at Monochrome-Watches, with such pieces, we know that our own Roberta Naas was quite positive with the Bulgari presented here. And I would personally award the Audemars Piguet Diamond Outrage, simply for being the most outrageous of them all. Again a category that has less impact on the general public, however one that shows some of the oldest techniques in watchmaking. 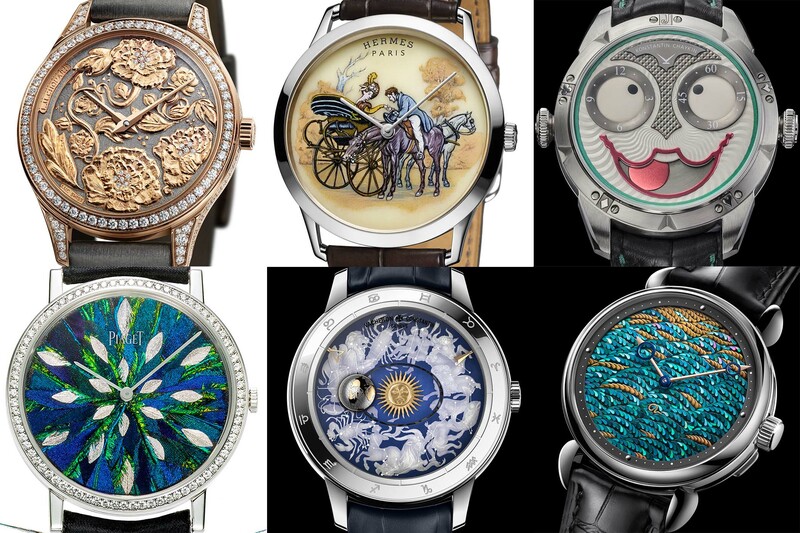 Here, we have watches which demonstrate exceptional mastery of one or several artistic techniques such as enamelling, lacquering, engraving, guilloché… This year’s selection contains some very pleasant watches, and any one of them could potentially be awarded during the ceremony – special mention to the Chaykin Joker watch, just because it looks out of this world in the middle of all these delicate pieces. And what about the Aiguille d’Or? This is the big one. The “Aiguille d’Or” is the ultimate prize at the GHPG, a sort of best of show, simply the watch that the Jury thinks is the most representative of the year. Usually, this prize goes to complex, high-priced watches with innovations or a specific features – the Ferdinand Berthoud in 2016, with its complex fusée-chaine movement and marking the revival of the name Berthoud, the Greubel Forsey Tourbillon 24 Secondes Vision in 2015, the Breguet Classique Chronometrie in 2014 or the GP Constant Escapement in 2013. 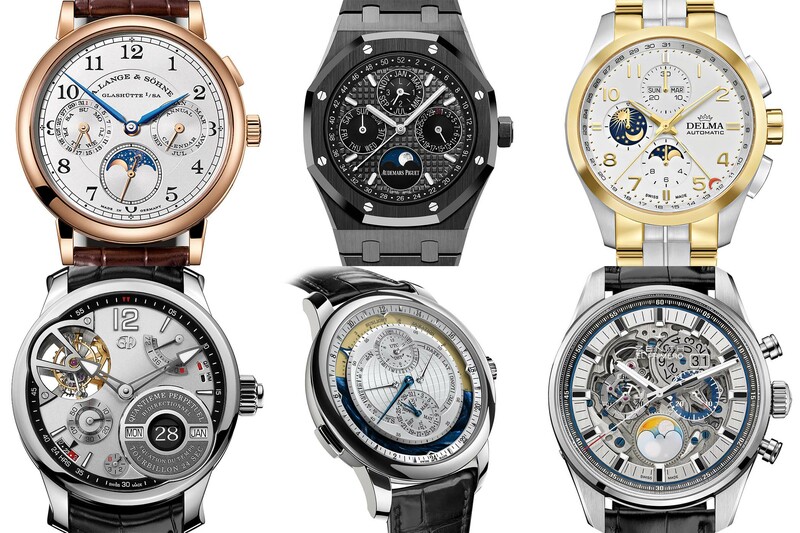 If we think with continuity in mind, we could expect the prize to go to the A. Lange & Söhne Tourbograph, the Armin Strom Resonance, the Vacheron Constantin Les Cabinotiers Celestia, the MB&F HM7 Aquapod or the David Candaux watch.